What are some of your highlights from the 2016 legislative session? Although this past session had frustrations and challenges, good was accomplished. A few of the highlights for me included: securing funding for earthquake monitoring in light of increased seismic activity in Kansas; preventing a massive property tax increase on agricultural land; fixing equity issues in school funding, enabling schools to stay open; reforming the welfare system putting Kansans back to work; bipartisan effort of overhauling the juvenile justice system; and continuing to be a voice of support for pro-life and constitutional rights like 2nd and 10th amendment rights. What do you enjoy most about being a legislator? I enjoy making contacts with my constituents in the district and when they visit the Capitol. It’s satisfying to help constituents find solutions to their problems and issues. Visiting hospitals, schools, farms, and businesses in the district and learning about their operations and the people who keeping them running efficiently is informative and inspiring. Four of my five children are teachers, so I have seen firsthand the challenges and triumphs educators daily encounter. Supporting teachers and writing a good school finance formula is of the utmost importance to me. Reducing the backlog of Medicaid applications for nursing homes will help bring financial stability for them. We must not let our guard down on protecting farms and businesses from unnecessary regulations such as The Waters of the U.S. 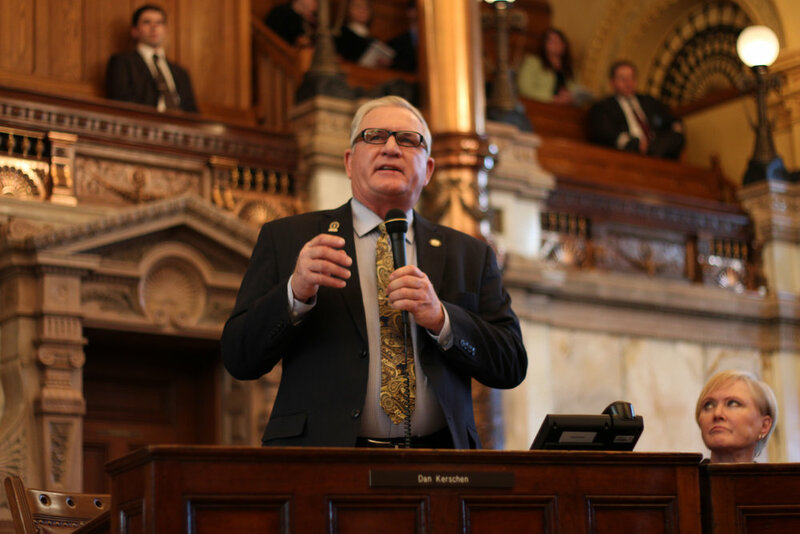 Finally, creating a workable budget that provides public safety and fair taxes to all Kansans will be top priority. What is one thing you want people to know about you as a legislator? A quote from President George H.W. Bush has always represented my approach to serving as a legislator. “For we are given power not to advance our own purposes nor to make a great show in the world, nor a name. There is but one just use of power, and it is to serve people.” As a senator, my role is to serve. Listening to the people and representing them in the district directs my decisions. As evident by my varied endorsements from education, agriculture, business, and medical organizations, when voting, I don’t vote based on any particular obligation but consider what is important and beneficial to the citizens of this district. I have heard of candidates announcing their intent to run for higher office in four years. My ambition lies in serving this district and the State now as well as creating a bright and promising future for my grandkids and yours. My focus, like it has been for the past eight years, will be to continue representing you and working to make our district and Kansas thrive.